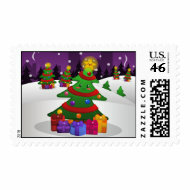 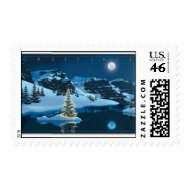 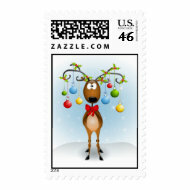 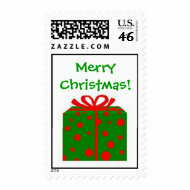 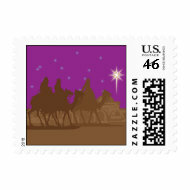 Do You Use Christmas Postage Stamps on Your Christmas Cards? 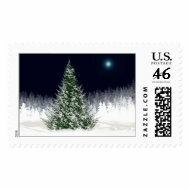 Have you seen some of the fantastic Christmas postage stamps available? 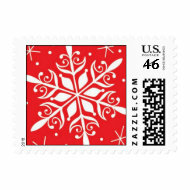 They are a great way to add a little extra Christmassy decoration to your Christmas cards this year. 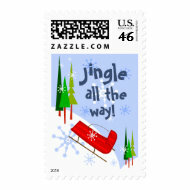 I have found that most years the post office is quick to release special Christmas stamps for you to use, but they're not always the ones I would choose and this year I don't have to! 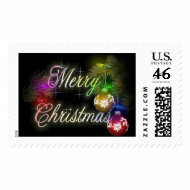 You can purchase any of the Christmas postage stamps found on this page and use them to post any Christmas letters, cards etc that you need to send - how cool is that? 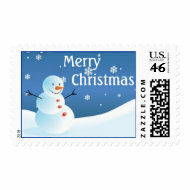 You can even personalize some Christmas stamps by adding your family name or uploading a Christmas family photo and popping that on a postage stamp - now that's unique! 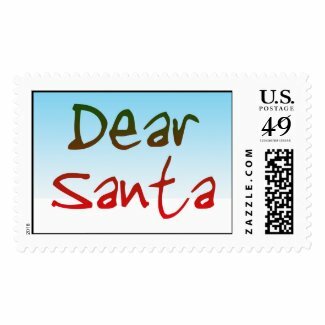 Santa has really become the 'face of Christmas' for many people and I think it all starts from when we're younger and have to write our letter to Santa. 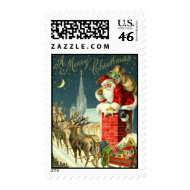 The 'Dear Santa' on this Christmas postage stamp really adds to the childish delight that Christmas holds for not just the young kids, but the big ones too! 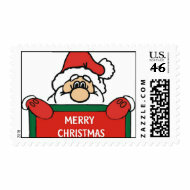 I think it would be really cool to add this stamp to all of my Christmas cards one year. 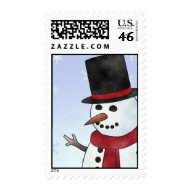 Frosty is another Christmas classic and one of the reasons that we all associate snowmen with Christmas. 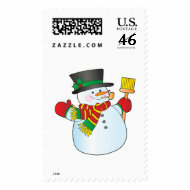 Snowmen are so cute that they really do decorate Christmas cards and Christmas postage in a great way. 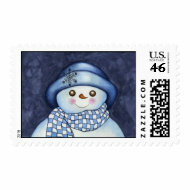 I think a snowman themed Christmas postage stamp makes a great impression when it's being collected from the mail box - who doesn't go 'ahhh' when they see a picture of a snowman? 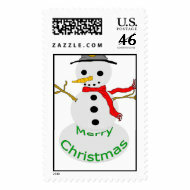 This particular vintage style snowman postage stamp is my favorite snowman stamp (at the moment anyway), it shows Frosty (all snowmen are called Frosty in my mind) dancing because he's happy it's Christmas and it's snowing......well that's what the postage stamp says to me anyways - what does it say to you? 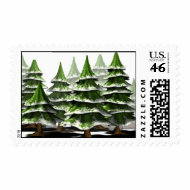 What can you say about Christmas trees - I don't usually feel it's really Christmas until I start hearing some Christmas songs, seeing Christmas lights and most importantly - seeing Christmas trees! 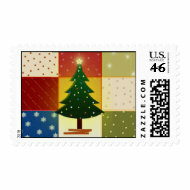 I love my own Christmas tree, but some of these Christmas tree stamps look pretty cool too and definitely a great way dress your Christmas cards for their annual Christmas postal journey. 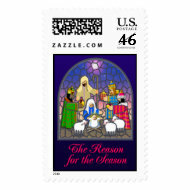 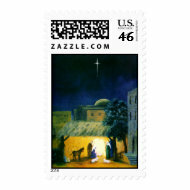 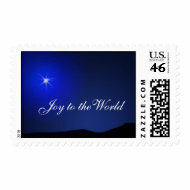 The true meaning of Christmas is often lost these days with the heavy commercialization of the holiday, so if you want to spread the meaning of the nativity then what about adding a nativity inspired postage stamp to all of your letters and cards that you post throughout December and spread the word. 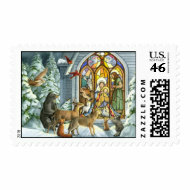 There really are some beautiful stamps that help to tell the true Christmas story and here are a few I managed to find - I hope you enjoy them. 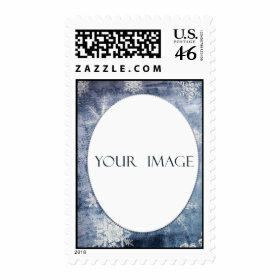 There Are So Many To Choose! 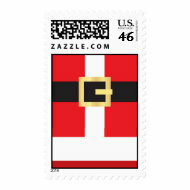 As I mentioned in the introduction you can also personalize your own Christmas postage this year which is pretty cool. 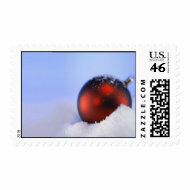 If you generally have a Christmas family portrait taken then you really should make the most of it and instead of just personalizing your Christmas card and/or Christmas letter you can add the same photo to your Christmas stamps. 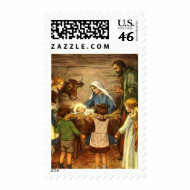 This is a great idea to celebrate a first Christmas together as a couple or a babies first Christmas etc. 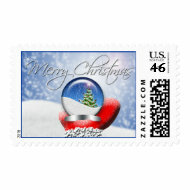 The Christmas stamp that is pictured is one that has some design elements already and you just need to upload your image into the center, but you can also just upload your photo to Zazzle and have it on it's own so to speak.